But I like to challenge myself (or create suffering :P) so here we go! Since I couldn’t drink coffee I have turned to tea. Now I love high tea so I am a tea drinker but I rarely drink it if I’m not eating scones and little sandwiches 🙂 however I didn’t want to fall asleep at work so I decided to try out various teas to figure out what would help me. 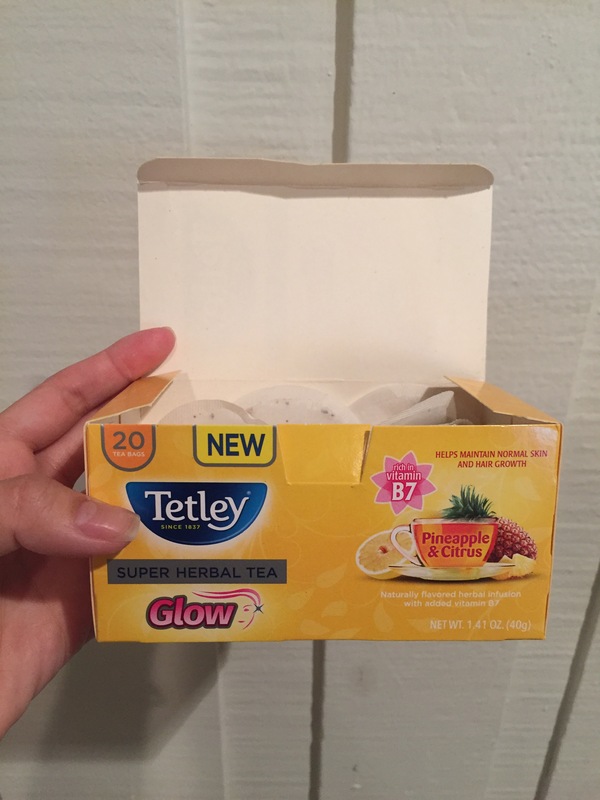 Tetley Glow: this company caught my attention when I saw that it helps hair and skin. Now I’m a girly girl and all about making my hair thicker, stronger and shinier and I’m all about skincare hence my slight obsession with facemask (another post will be up about my favs!) so I was all in. First I was pleased to see that each tea pack is individually packaged because I love the idea of loose leaf being “fresh” and “more natural” but I hate when the dang leaves escape the tea infuser. I also hate when I accidentally swallow leaves because let’s be real, I don’t want to eat a plant 😛 anyways I digress, back to my review. 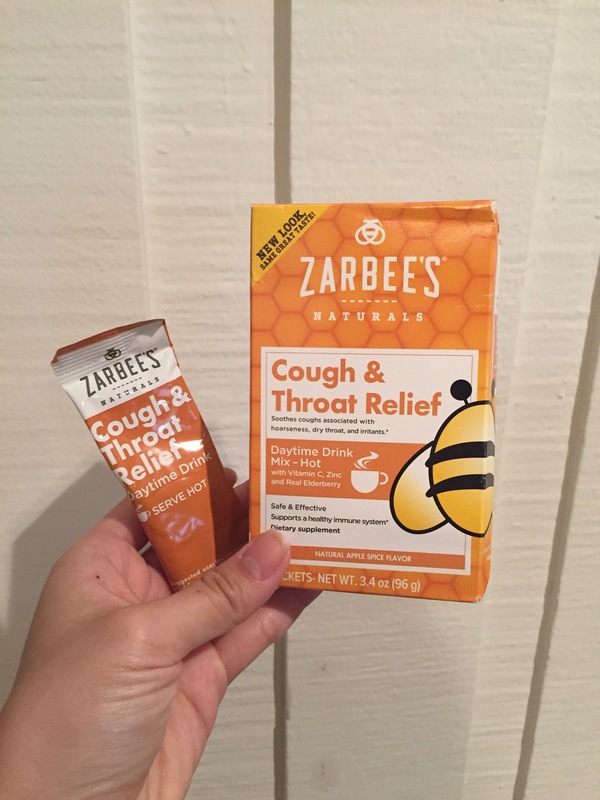 The flavors make you feel like you’re in a tropical paradise. Peach and pineapple flavors are strong and tart so it’s a nice “wake up”. I can’t say if it’s made my hair or skin better because to be honest I didn’t take everyday selfies (shocker I know since I love my insta & snapchat :P) but the tea makes me smile and I’m good with that! Ps this is an herbal tea so caffeine isn’t a player here so I recommend this for a rainy day over chugging this to pull an all nighter. 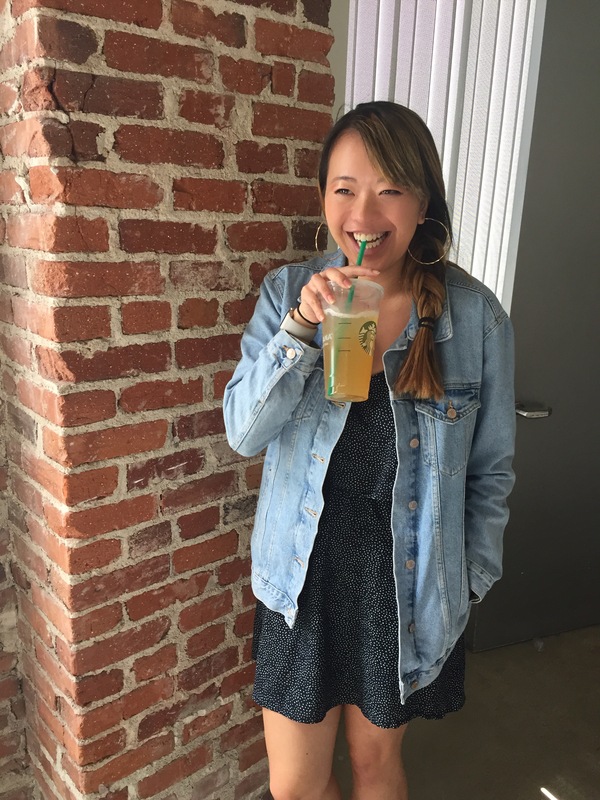 i love my teas & coffee hehe and i loved all of this! ❤ now gotta go buy some zarbees for G!